NOTE: Browser needs to be restarted after package installation! Firefox-based browser must be closed (all open instances) before installing JSPM utility. Copyright © 2004-2019, Neodynamic SRL. All rights reserved. THIS SOFTWARE IS PROVIDED BY NEODYNAMIC "AS IS" AND ANY EXPRESS OR IMPLIED WARRANTIES, INCLUDING, BUT NOT LIMITED TO, THE IMPLIED WARRANTIES OF MERCHANTABILITY AND FITNESS FOR A PARTICULAR PURPOSE ARE DISCLAIMED. IN NO EVENT SHALL NEODYNAMIC BE LIABLE FOR ANY DIRECT, INDIRECT, INCIDENTAL, SPECIAL, EXEMPLARY, OR CONSEQUENTIAL DAMAGES (INCLUDING, BUT NOT LIMITED TO, PROCUREMENT OF SUBSTITUTE GOODS OR SERVICES; LOSS OF USE, DATA, OR PROFITS; OR BUSINESS INTERRUPTION) HOWEVER CAUSED AND ON ANY THEORY OF LIABILITY, WHETHER IN CONTRACT, STRICT LIABILITY, OR TORT (INCLUDING NEGLIGENCE OR OTHERWISE) ARISING IN ANY WAY OUT OF THE USE OF THIS SOFTWARE, EVEN IF ADVISED OF THE POSSIBILITY OF SUCH DAMAGE. Fixed! "Access Violation" error when printing non standard PDF files. Fixed! Wrong output size when printing PDF files. Improved! 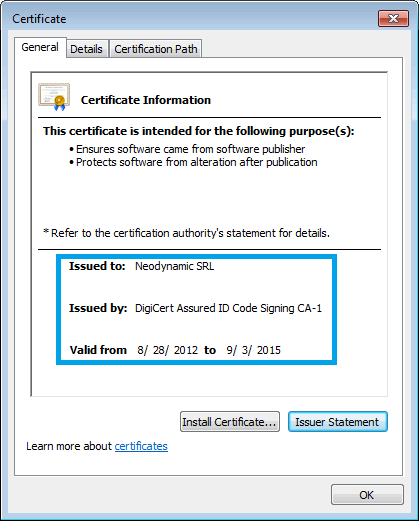 Certificates generation during installation process. Fixed! Cannot print raw commands. Fixed! Error when printing PDF files. Fixed! "List index (2) out of bounds" error when printing PDF files.